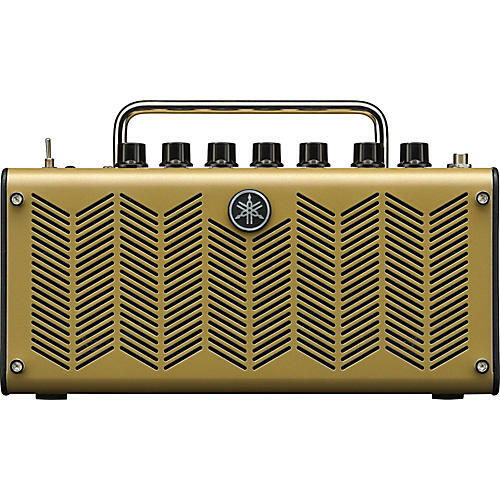 A personal amp optimized for use with acoustic-electric and silent guitars. The Yamaha THR5A acoustic modeling combo amp offers simulations of classic tube condenser and dynamic mics combined with studio-grade effects to create recording-studio tone direct from your guitar wherever you are. The THR5A offers four acoustic mic simulations and one clean amp modeling for electric guitar. Most of the effects feature VCM processors for serious realism. Extended Stereo Technology creates an incredibly wide, spacious sound with depth unimaginable from such a small enclosure. Cubase AI, THR Editor and USB connectivity make it great for recording and editing. The brilliant look is finished with Virtual Tube Illumination that simulates an orange tube glow from the metal speaker grille so it looks as amazing as it sounds. Call or click for a boat load of acoustic goodness in a tiny package.